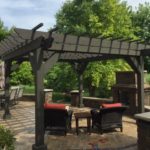 Why is Fall Hardscaping a Great Idea? With the summer coming to an end, it’s time to think about everything you have been putting off, including your Fall Hardscaping. Summer is often the season of procrastination, especially when it comes to improving our homes. This fall, you can make your home more functional and beautiful by constructing hardscapes. A hardscape designer can transform your outdoor landscape into a dreamscape just in time for winter. Do you use rocks in your driveway? Then you know just how frustrating snow removal can be after the first storm of winter. You can never completely remove the snow without digging up the driveway and the snow can freeze between the rocks. This fall prepare for the winter while making your driveway beautiful by hiring a BLC Yardworks. After the first snowfall, you can easily shovel away snow from your beautiful stone driveway while admiring its masterful design. Another reason for Fall Hardscaping is that you will likely have more time on your hands than you did during the summer and you will have this winter. With all the guests that visit during the summer months and the winter holidays, it can be quite the hassle accomplishing any home improvement projects. No one wants to invite guests over when there is construction going on at the house. During the fall, you have the time to transform your home without interrupting day to day activities. One rainstorm or snowfall can render your entire yard too muddy or wet to walk on. 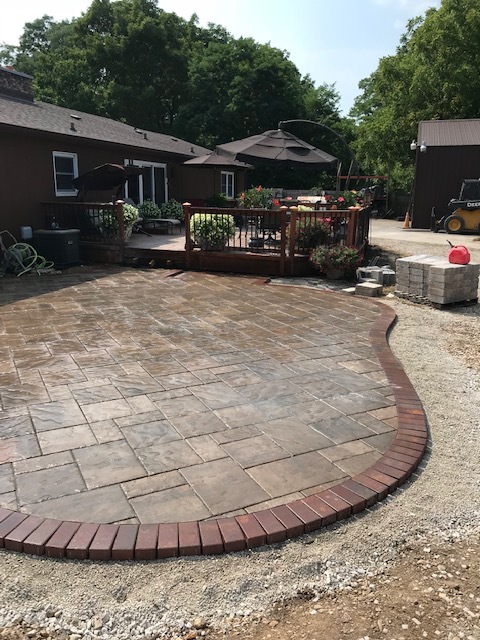 By hiring BLC Yardworks for some Fall Hardscaping, you can add stone walkways across your yard as well as outdoor flooring to open up the entire area. When it snows, simply shovel the walkways and you will be free to roam around your yard. A hardscape patio and walkways let you navigate your yard after it rains without hopping over puddles or walking through wet grass. Fall and winter bring the holiday season and that means you will be doing a lot of entertaining. A beautifully paved driveway and attractive hardscape walkways are the perfect way to welcome your guests. Hardscapes can elevate the aesthetic of your home in a way that is sure to impress. Hiring BLC Yardworks to upgrade your outdoor surfaces will make your home that much more welcoming and safe for all of that company during the holidays. Do you want to spend your late fall and winter nights cooped up in your heated home this year? With a stone fire pit, you can enjoy chilly nights under the stars gathered around the fire with family and friends. Nights by the fire are relaxing, memorable, and the perfect way to spend your evenings. By hiring us to build a stone fire pit in the early fall, you can enjoy the colder months outdoors by the warm fire. Reach out to us to see how we can help you with your Fall Hardscaping!